Does Tap Water Help Plants Grow? What Type of Water Makes Plants Grow Faster? What Kind of Water Do Plants Need to Grow? Do Plants Grow Better in Saltwater or Freshwater? According to University of Minnesota Sustainable Urban Landscape Information Series, as long as it is not in an area with high air pollution, rainwater is one of the best choices for watering plants. In areas that allow for rainwater collection, this is an efficient and green method for watering plants. Companies such as Home Depot and the RainXchange have systems that you can buy, while Earth Easy has instructions on building a rainwater collection system. If you have acid rain in your area, another option for watering your plants is reverse osmosis water. Reverse osmosis (R.O.) 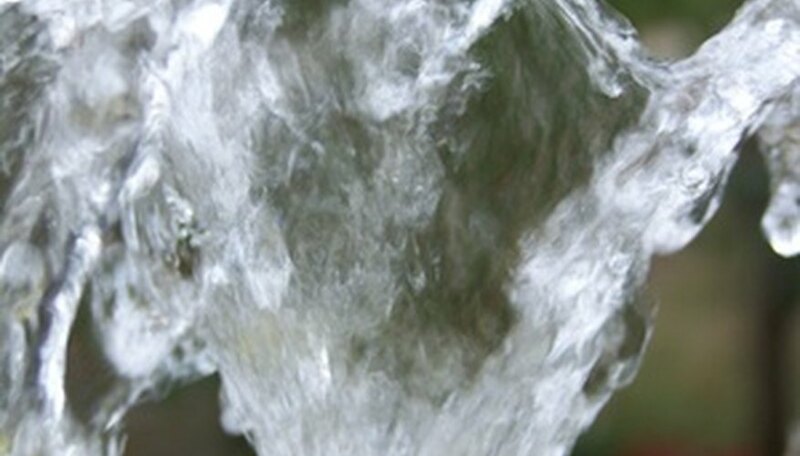 is a process that removes chemicals and contaminants from tap water by running the water through a series of filters. According to the University of Minnesota Sustainable Urban Landscape Information Series and the Water Quality Association, once you have bought the equipment, this is an inexpensive source for good water for plants. R.O. systems come in full-house units or units that fit under the kitchen sink. They also come as units that attach to the kitchen faucet. Distilled water has chemicals and minerals removed. According to the Water Quality Association, using distilled water is one of the better choices for watering plants. However, according to University of Minnesota Sustainable Urban Landscape Information Series, "Distilled water has also been shown to be damaging to some plants." Professor's House explains a simple method for removing the chlorine in tap water. Fill a container with tap water, set it outside and leave it for two days. This will allow the chlorine to dissipate from the water. Store the water in jugs. Make sure the water is at room temperature before watering plants to prevent shock to the plants' roots. Often, the path of water to the tap is not direct; it travels through a water utility and municipal water supply. The treatment it receives can have an effect on plants it's used on. City water often contains chemicals added to make the water safe for human consumption. Well water may or may not be free from chemicals and bacteria, depending on the location and natural structure of the aquifer. 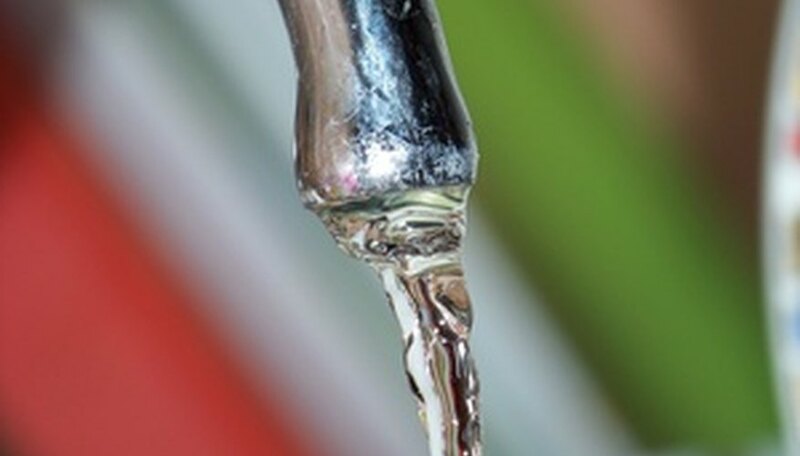 Many municipal water supplies contain fluoride, which is a plant toxin. Perlite, a common soil conditioner that also contains fluoride, can contribute to fluoride toxicity. Let water sit in an open container overnight at room temperature to dissipate fluoride. Chlorine, another soluble salt sometimes added in municipal water supplies to kill bacteria, will kill plant roots and foliage. Chlorine will also evaporate from water if left to sit overnight. Softened water raises the level of soluble salts in soil, affecting the ability of plants to use water. Sodium and boron, used in many residential softener units, have toxic effects. Periodically flush soil with fresh water or replace to minimize damage. Narrow-leaved plants are most susceptible to brown lesions or leaf-kill due to tap water toxicity. Airing water at room temperature, flushing soluble salts and maintain proper soil pH make tap water safe for most plants. 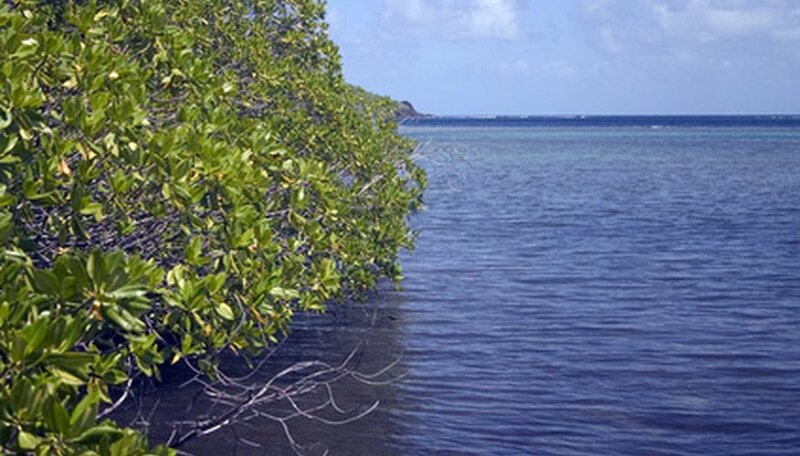 While specially adapted plants such as mangroves can grow in salt water, common plants struggle in either salt water or sugar water because their roots are not adapted to absorb either. 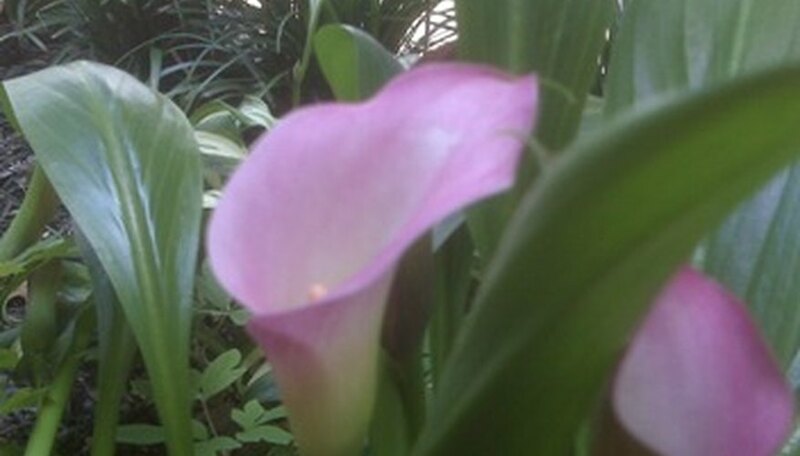 Tap water works best for most all flowers, vegetables and house plants. Tap water will help plants grow, but it may also be dangerous for them. The various chemical treatments used to make tap water safer for drinking can be too strong for plants. These chemicals include chlorine, salt and fluoride. 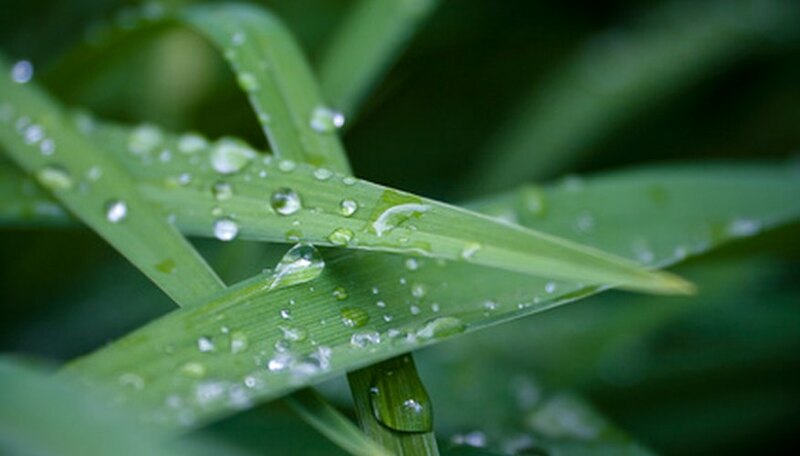 The best water for plants, and the type of water that tends to make them grow fastest, is rain water, because it is purer than tap water or even well water. Plants will grow well with distilled water, but the expense of boiling and collecting the water make this approach costly, the Texas A&M AgriLife Extension notes. Lake water may have soil-born pathogens and bacteria that may cause plant diseases, according to HydroponicsOnline.com, while tap water contains both useful plant elements and problematic salts. Test both in your area to see if one makes plants grow better. Plants can grow in regular tap water from inside the house or from the hose in the yard. However, the best water for plants is distilled water, which does not contain chemicals. Leave an open container of tap water set for several days to remove any chlorine added by the municipal water department. Plants grow best with the water for which they are adapted: marine plants such as kelp grow best in saltwater, while land plants grow best in freshwater. Too much salt hurts land plants.